Simply Bassing is now the Spring Derby! 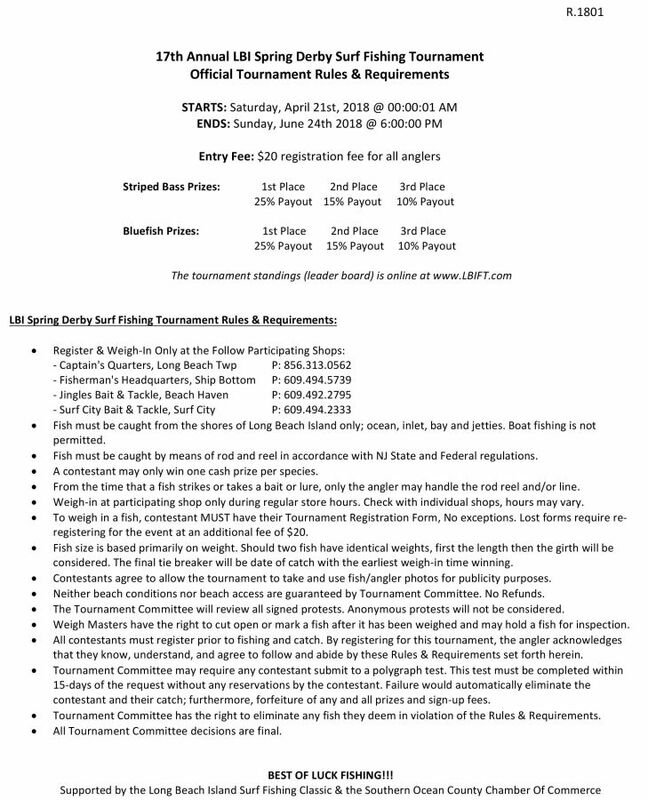 For 16 straight years the "Simply Bassing" Spring Surf Fishing Tournament was a great competitive way for anglers to enjoy surf fishing the beaches of Long Beach Island. With the awesome spring bluefish action lots of anglers asked (many demanded) a bluefish division. Finally it's added! New for 2018, the Long Beach Island Spring Surf Fishing Derby, a 9 week striped bass and bluefish surf fishing tournament. Sticking to the roots, it's a fun surf fishing tournament with a simple format. Most importantly it's a low kill tournament format that awards the top fish/anglers by weight. No daily, weekly or segment prizes . If your fish can not beat the three top leaders, please release your fish to swim another day or responsibly harvest for a delicious dinner. Registration is $20 for all anglers. The top three largest striped bass and the top three largest bluefish win cash. 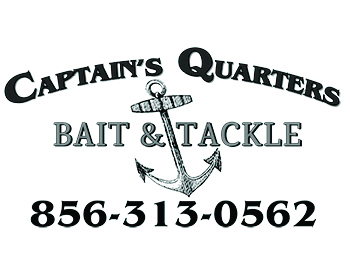 Based on 100 registered anglers: First Place Bass and First Place Bluefish get $500 each (25% Payout), Second Place Bass and Second Place Bluefish get $300 each (15% Payout), Third Place Bass and Third Place Bluefish get $200 each (10% Payout).